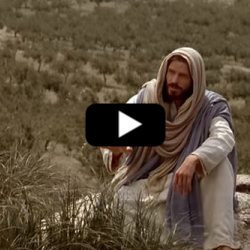 We learn about the Parable of the Talents in this video about Jesus. This is a wonderful parable that teaches something about each one of us. God has given us talents in this life. Every single person has received at least one talent (Doctrine and Covenants 46:11). Some people may think that they have never received a talent or ability from God, because they may have buried or hid that talent years ago and forgotten about it. The fact remains that God has given us each at least one talent or ability that can be used for the good of others (Doctrine and Covenants 46:9, 46:12). So, what is the parable of the talents? It is simple; here it is. There was an employer who gave each of his workers a quantity of money called a talent. To the first, he gave five talents, to the second, he gave two talents and to the third, he gave 1 talent. Then, he took a journey. When he returned, the worker who had received five talents had worked hard and multiplied the five and they turned into ten. We’re not sure how he did it - maybe the money was invested, maybe some inventory was purchased wholesale and sold for a profit - we’re not sure exactly. The next worker, who had two talents, worked and multiplied his talents so he had four talents. The final worker with one talent was afraid because the employer was a mean man, so he and hid it, then when the employer returned, he returned it to him. When the employer returned from his journey, the worker who was given five talents gave him 10 and he was praised and rewarded, “well done thou good and faithful servant” (Matthew 25:21). Next, the worker who was given two talents gave his employer four talents and he was likewise praised and rewarded. Finally, the worker who had one talent, gave it back to his employer. This worker was reprimanded and told that he should have at least put the money in “the bank” to earn interest (usury) (Matthew 25:27). Then the employer took his one talent and gave it to the worker with the ten talents. From this parable, we learn that we are all given different gifts, abilities or talents from God. Some may have been given many gifts or abilities and some only a few. The big question is - what do we do with those gifts? Do we work to improve upon our talents and abilities or do we hide them because we are embarrassed that we have only been given one?. Did you notice that the employer was just a pleased with the person who earned four talents as the person who earned ten? As mentioned at the beginning of this article, each of us has, or was given at least one special talent or ability. Let us find those abilities and work to improve them. God is happy with us when we use our talents for good and he multiplies our talents. Some of our talents may be, the ability to compliment others sincerely, the ability to work hard, the ability to make wise use of money, the ability to have a great family, the ability to exercise faith, the ability to be a leader, the ability to be an example for good, the ability to understand the scriptures and/or ability to bring others to God. God has given us these abilities, and when we use them in His service, we are blessed and God multiplies our talents and the richness of our lives.